What two big events are coming February 26, 2017 and where will you be? We are pleased to present our 9th Annual Richmond wedding show A Wedding Affair on same day as the 89th Annual Academy Awards. Though we have ninety less years on the Oscars, we offer glitz and personalized glamour and have enjoyed many brides attend our show with their bridesmaids since our first show as a pre-Oscar celebration. The Oscars are the Academy’s opportunity to reflect on the teamwork taken to produce a cinematic artwork. 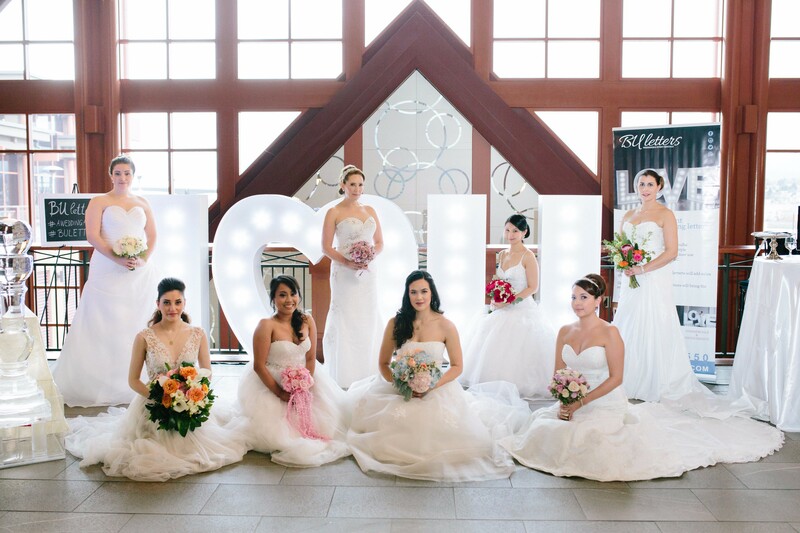 In turn, we would like to take this opportunity to reflect on the teamwork that goes in to planning your big day. At A Wedding Affair, we showcase table displays by several unique vendors to offer you ideas and inspiration for your wedding day. Models roam through the aisle of the show in bridal gowns (our own red carpet!). You also experience live entertainment throughout the show and all guests will enjoy a taste of wine in addition to the River Rock Casino Resorts fine cuisine. While sampling and enjoying each vendor’s efforts, you can begin to imagine your personal dream team. Throughout the show, over 50 door prizes will be given away with one lucky bride winning a $10,000 Grand Prize and another lucky winner winning an All Inclusive Dominican Republic Hotel Getaway at the Be Live Collection Punta Cana courtesy of Marlin Travel Vancouver Downtown and the Be Live Collection. As we prepare for our ninth annual wedding show A Wedding Affair, we also are celebrating the 15th anniversary of Imagine That Events. Our team is so grateful to each of our clients for helping us build our dream. We imagined it, we planned it, and you are helping us live it! Come visit us at A Wedding Affair on Sunday Feb. 26th where we have surrounded ourselves with the best our industry has to offer. Together we will help ease the stress of planning your wedding.